Mmmm…If you don’t like hummus you may like this recipe. I made this for vegetarian night with a few other dishes. 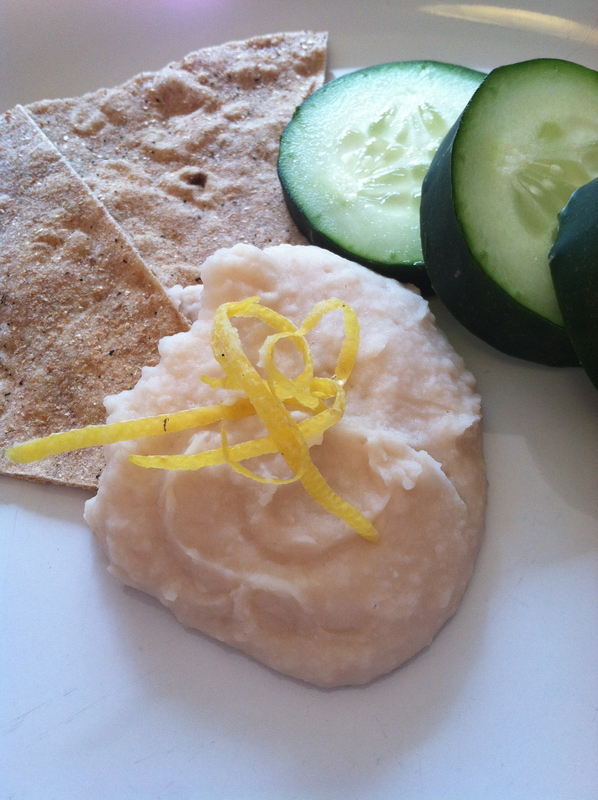 It was much creamier than hummus made with chickpeas and has opened my mind to possibly using other types of legumes to make this fabulous, healthy dipping sauce. In fact, just this morning I saw a hummus recipe that called for edamame. What a great idea! Homemade pita go great with hummus and are really easy to make. In the bowl of a food processor, blend the beans until they are pureed. Blend in the lemon juice and oil. With the processor running, drizzle in water, between 1/4 and a 1/2 cup, until the hummus is as thin or thick in consistency as you like. Season with salt to taste. And I don’t have a picture. Not a one. I got busy with the other dishes that night and forgot to take pics. of the hummus. I do have some in the freezer, so I guess I can add a photo of a bowl of this white goo the next time we have it.